Allow this marketing tool to "protect" upcoming promotional events. 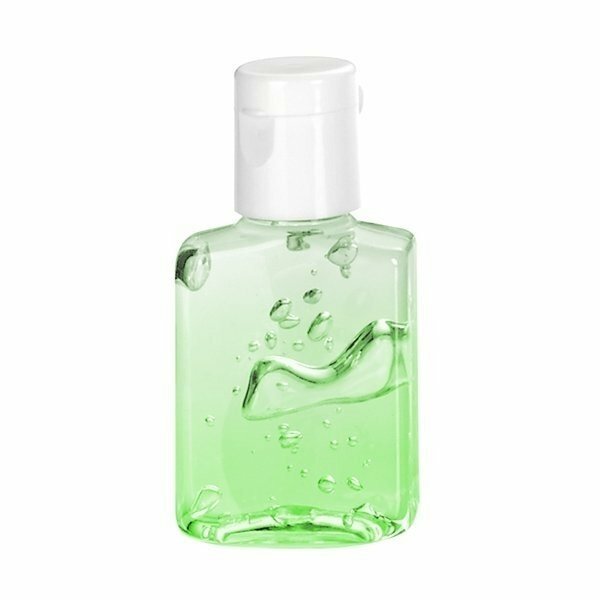 Choose this 0.5 oz Tinted Sanitizer in clear bottle as a handy giveaway. This product is USA Made in an FDA registered facility. The container size is 1 1/4" x 2 1/2". Enhance your company's promotion by ordering this terrific product today. Item we ordered was particularly professional-looking, which I liked. Great customer service and product. I really liked the quality, style, and design. these products were perfect, as it's of great quality and price! Our company logo design is outstanding!